If you want to drive a car you will need to pass driving theory test. 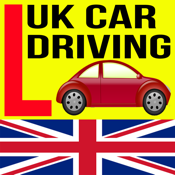 UK Driving is an app for mock test of UK driving theory test. It will systematically walking you through effective practice questions in five categories to select with multiple choice answers.